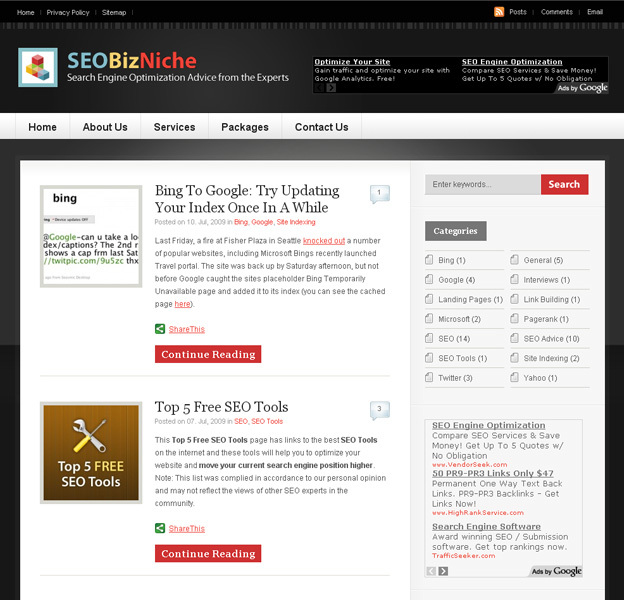 SEOBizNiche.com | RDX Solutions, Inc.
Project Description: SEOBizNiche.com is a weblog that caters to Internet Marketers of beginner to intermediate level. Over the past few years, SEOBizNiche.com’s site traffic nearly quadrupled to 100,000 unique visitors per month. Their original site was static and very cumbersome to update. RDX Solutions was able to set the company up with a Wordpress blog that allowed for smoother and faster updates of content on their site. RDX Solutions also design the logo and website and provided them with dedicated hosting. SEOBizNiche.com is now running at its optimum speed on RDX Solutions’ servers.